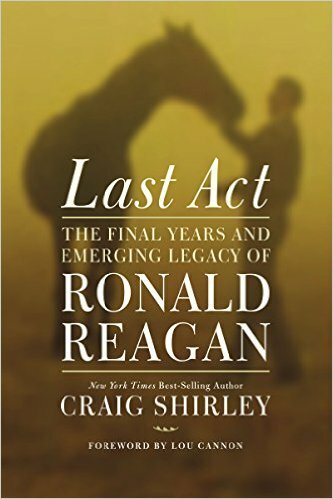 What can we learn from the life and times of President Reagan? Is there anything from his career that is applicable today? Ronald Reagan did not lead a charmed or idyllic life, but still became one of our greatest presidents and leaders of our time. How? This fascinating man had nearly as many failures as he did successes. Those successes came about through hard and smart work, and not the serendipitous luck some historians believe. He was an idealistic realist, who knew the world he lived in. He knew the fights he could win, and the fights he could not. Most of all he knew which ones where worth fighting for no matter the odds. Reagan is at once the most open and yet the most complex of men and even today is misunderstood even by his supporters. This session helps shed light on the man, and the qualities that made him such an effective leader. More than just a history lesson this is guide through the traits all great leaders need to have. 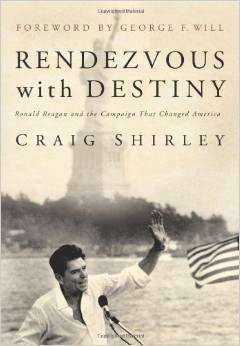 Shirley has written three books on Reagan, written innumerable articles and given dozens of talks about the Gipper. 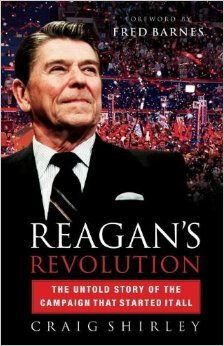 The London Telegraph called him the best of the Reagan biographers. As the outset of our involvement in World War II, America instantly went from being an isolationist nation to one of broad internationalism - which continues to this day. It ushered in women in the workplace, the nationalization of war industries, the government takeover of the media, plus Victory Gardens, metal drives, rubber drives, paper drives, Air Raid drills, Blackouts, brownouts, fallouts and more. The war effort pervaded every aspect of our society, some of which changed America forever. In winning the war, America changed from being a country with little international mission to one with the greatest responsibility for the Greatest Generation: the survival of mankind. 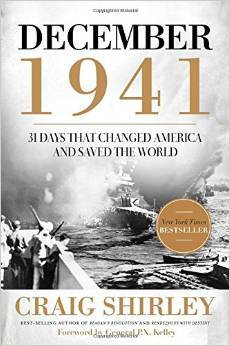 Craig, author of the New York Times bestseller, December, 1941; 31 Days That Changed America and Saved the World looks at how what happened then is relevant today. Politics is Washington, D. C. and Washington D.C is Politics. The city-state has changed radically since George Washington surveyed the streets in the late 1700’s. Craig shares his perspectives on how our political system has come to the current state it’s in and offers a road-map for renewal. The city aggregates to itself more and more power, authority and money with less and less for the average American. Washington is paralyzed with corruption and greed and incompetence. The only solution is localism. The sending of power back to the individual from Washington. 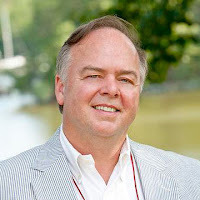 Craig has written and spoken extensively on the problems of Washington as well as the solutions. Craig Shirley is the author of three critically praised bestselling books on President Reagan, Rendezvous with Destiny: Ronald Reagan and the Campaign that Changed America (2009), Reagan's Revolution: The Untold Story of the Campaign That Started It All (2010) and Last Act: The Final Years and Emerging Legacy of Ronald Reagan (2015). He is the president of Shirley & Banister Public Affairs, was chosen in 2005 by Springfield College as their Outstanding Alumnus and has been named the First Reagan Scholar at Eureka College, Ronald Reagan's alma mater. Shirley has written extensively for the Washington Post, the Washington Examiner, the Washington Times, the Los Angeles Times, Town Hall, the Weekly Standard and many other publications.